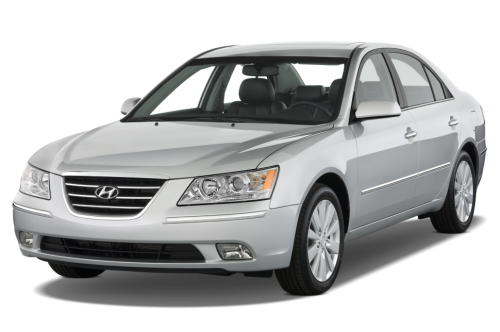 Hyundai Sonata PDF Workshop, Service and Repair manuals, Wiring Diagrams, Parts Catalogue, Fault codes free download!! Hyundai Sonata – front-wheel drive sedan. In accordance with the classification of cars according to the formal characteristic (dimensions) adopted in the EU, the car belongs to the segment E – “Executive cars”, according to Euro NCAP – to the “Large family car” (segment D). Informal sources, dealers and journalists specializing in this subject, refer to the car as a D-segment, and to the business class. The first-generation Hyundai Sonata sedan was first introduced in November 1985. Produced from 1985 to 1988. It was sold only in the markets of Korea and Canada. 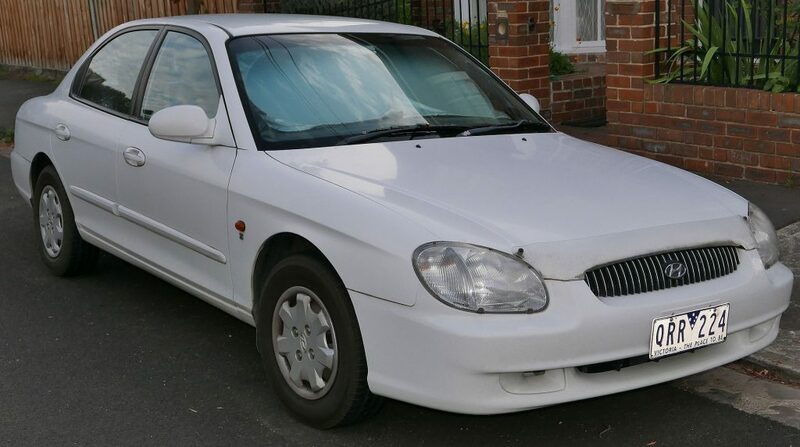 In Canada it was called Hyundai Stellar II. The model was not exported to the US due to the fact that it did not comply with strict emission standards. The model with the right-hand drive was sold in New Zealand with a 1.6-liter Mitsubishi engine. The automatic transmission was installed as an option. The second generation Sonata (Y2) was part of the marketing policy for the invasion of North American markets of Hyundai cars after the success of Excel. 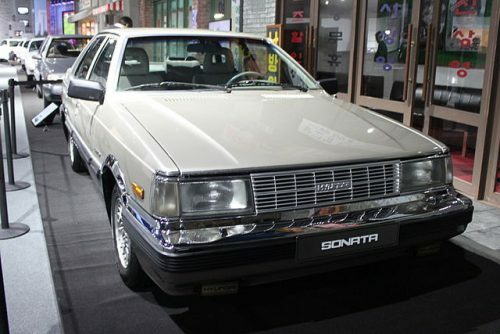 Sonata (Y2) was shown in the Republic of Korea on June 1, 1987. 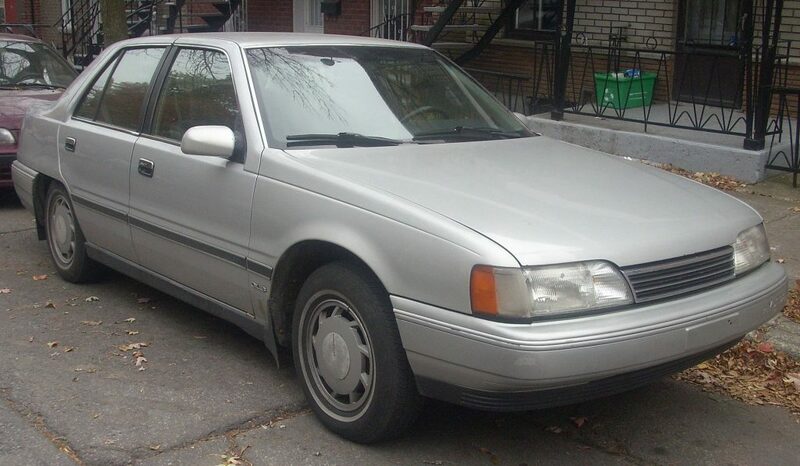 It was also introduced in Canada in September 1987 as a 1988 model, and in 1988 in the United States as a 1989 model and only in March 1989 is represented in Australia. To create an external image of the car was attracted by Giorgetto Giugiaro from Italdesign. 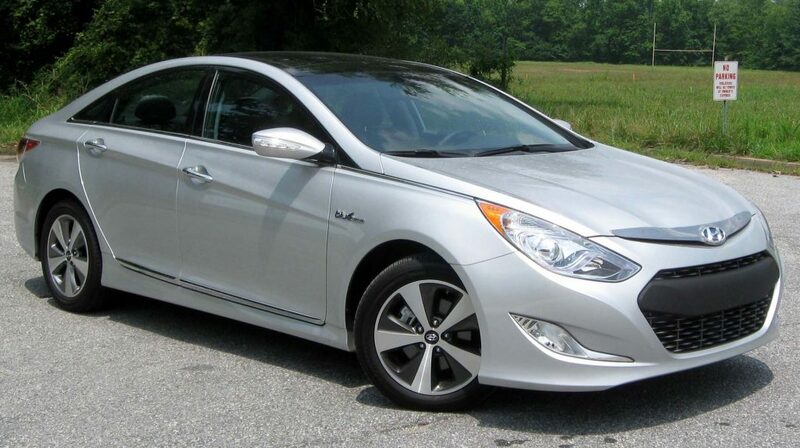 Sonata has replaced itself in the market of Stellar in the line of large family cars from Hyundai Motor. In 1992, the car was restyled. The sonata was designed by Hyundai Motor engineers in conjunction with Mitsubishi. 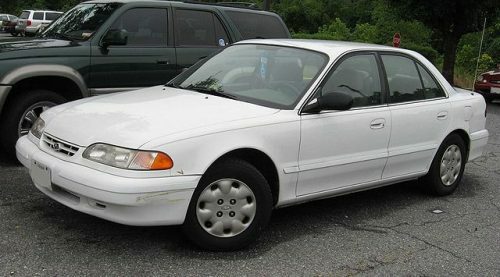 The third generation Hyundai Sonata debuted in 1993, as a model of 1995. The main engine that was offered in most markets was 2.0 liters of 126 hp. (94 kW) Sirius I4, also, in addition to this engine, offered 3 liters of 142 hp. (106 kW) Mitsubishi 6G7x V6 as an option in some markets. This generation came after the closure of the Canadian plant in Bromon in September 1993 and was supplied only to the Korean assembly, before the opening of the Beijing plant Hyundai in December 2002. In North America, the car was offered with an unprecedented 10-year warranty. The model was first introduced in August 1998. Equipped with engines of 2.0 liters 136 hp, a volume of 2.4 liters 138 hp. (103 kW) Hyundai Sirius and a volume of 2.5 liters of 168 hp. (121 kW) V6 DOHC model Hyundai Delta. In parallel, the production of the Kia Optima model (also called Kia Magentis outside the US), which has the same base, doors, glass, but differing slightly in the exterior panels and in the interior, was launched. This model was the platform for the first generation Hyundai Santa Fe, belonging to the class of crossovers. NF Sonata was launched in August 2004 in Korea on the basis of a new platform created from the NF project. The first all-aluminum engine I4, called Theta, made its debut in the new Sonata. The choice of engine at startup was 2. 4-liter I4 with a power of 164 hp. (122 kW) at 5800 rpm and 3. 3-liter V6 with a power of 237 hp. (177 kW) V6. In Korea 2. The 4-liter version was sold as F24S (24 = 2. 4L, S = Special). 2. The 0-liter petrol version was sold only in Korea and was found there more popular due to the added gas, tax and insurance savings. Diesel versions are available in Europe, New Zealand and Singapore, where they are a popular replacement for Toyota Comfort taxis. In May 2005, the launch of Sonata production in the US coincided with the start of production at the company’s first assembly plant in the USA, in Montgomery, Alabama. 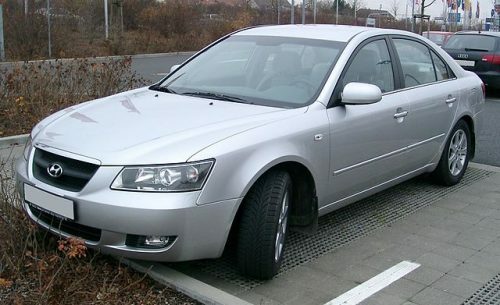 In the Russian market Hyundai Sonata of the fifth generation was sold as Hyundai NF, as the trademark Hyundai Sonata was at that time in the ownership of Taganrog Automobile Plant. Hyundai Sonata YF – the sixth generation of one of the flagship sedans Hyundai (for some countries the name of the model may sound like i45). D-class. It is built on a completely new platform, designed to produce the Sonata YF / i45, i40 (estate, sedan) models.